What fun it is to come across a book that really has been missing on the landscape of English-language books. 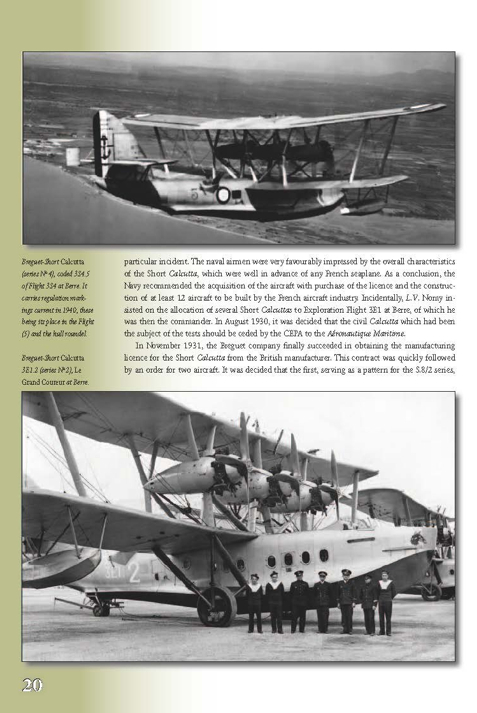 It’s not that there is a shortage of publications on French seaplanes but that they’re in French. Bousquet’s previous “big” book on the subject, Les Paquebots Volants (Docavia, 2006, ISBN-13: 978-2914205009), never made it into English but its splendid illustrations hinted at a vastly interesting subject. He’s been looking at civilian and military hydravions since 1981 and done much to advance the subject. Several smaller books in this publisher’s “French Wings” series are by him. Here, broadly divided into three basic categories based on operational range, 30 types are examined in alphabetical order of nine makers large and small. Civilian craft seconded to or adapted for military service are also considered as well as two types that only existed as mock-ups (Breguet 792, Potez-SCAN 180). This book is part of a series and thus follows an established format: general lay of the land, aircraft specifics pertaining to development and service history, photos, color profiles, and 3-views. The 80-some color profiles, here once again by the late Teodor Liviu Morosanu, are as always splendid. All are printed sideways so as to not lose any detail in the gutter. After introductory remarks pertaining to nomenclature, Bousquet discusses French naval aviation vis-a-vis its German counterpart. The key take-away here is that while the French had more aircraft, they were old if not outright obsolete. Either Bousquet assumes a quite knowledgeable reader or he simply forgot to add certain layers of detail. For instance, he points out that of ca. 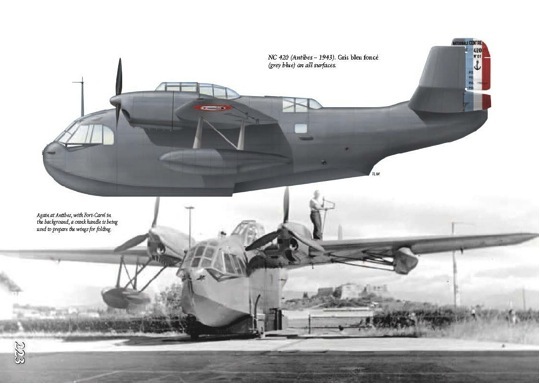 510 seaplanes only 282 can be classified as “operational” but nowhere explains either the methodology of the classification or the reasons that kept two fifths of the force out of front-line service. While this book does have a translator with an English-sounding name, the syntax does take some getting used to but is not ever ambiguous. What ambiguity or lack of clarity there is stems from the source. 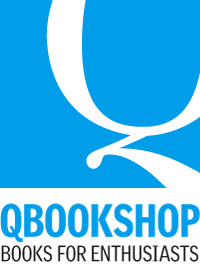 Bousquet is given to making sweeping statements that will make the attentive reader stumble. For instance, a comment is made about the “much lower losses” by the French, 13 lost out of 39 built vs. 38 of 100. If you just glance at the numbers without thinking about them you might be inclined to take this as written but when you actually do the math you get 33% vs 38% which isn’t that drastic a difference. And the remaining 62 German planes had probably much more opportunity to do damage than the remaining 26 French ones. Abbreviations are not spelled out the first time they are used and there is no glossary; there is also no map of seaplane bases, all of which would make the book more accessible to the nonspecialist reader. But, you don’t read this book, or this sort of book, for micro-detailed warfighting commentary but for background about specific aircraft. 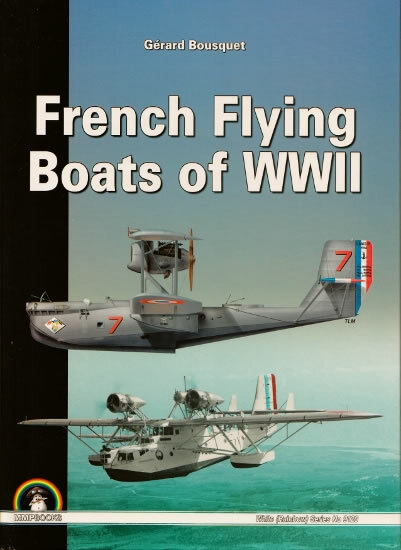 The book does by no means cover all French sea- or floatplanes; come to think of it, the author doesn’t actually explain why he picked these 30. No matter, what is here is plenty interesting and thoroughly covered, and certainly representative. It would be too much to say these planes look French but they surely look different from pretty much anybody else’s. Much like French cars, there is evidence of original design and a lack of fear of having form dictated by function. To say some of these planes look odd would be an understatement. Kit modelers will know that commercially made scale models (vacuform, injection-molded, or resin) of most of these aircraft are hard to come by and for them this book will be a treasure trove. If building from scratch is too much of a challenge you’ll at least be able to customize mass-market kits with specific paint schemes and markings (there are even several aircraft in Luftwaffe markings that had been captured by the Germans), including civil. This publisher aims to bring niche subjects to wider attention and this book serves that purpose splendidly and in every regard upholds the series’ high standards.